Legislators returned to Raleigh again this week planning to take up several issues including K-3 class size mandates, Medicaid transformation, GenX, and redistricting. 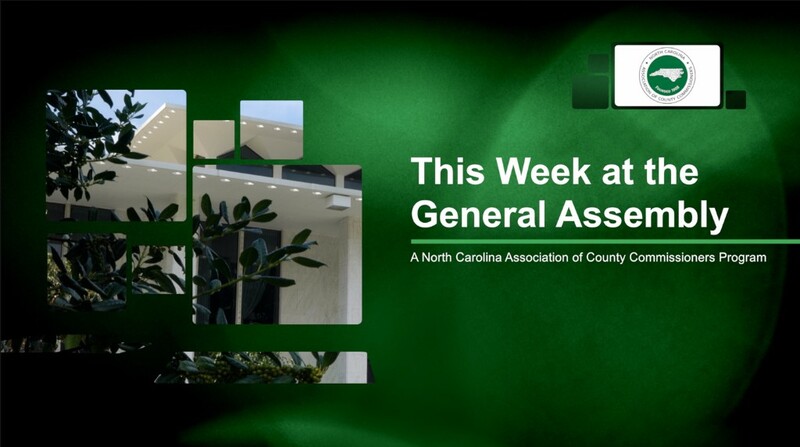 The General Assembly took up some of those issues while continuing to negotiate differences on others, and is scheduled to continue active legislative sessions next week. Court decisions regarding redistricting continue to cause some uncertainty with the beginning of primary filing just around the corner. Early in the week, the U.S. Supreme Court granted a partial stay on state legislative district maps drawn by the special master assigned to do so by a federal three-judge panel in August. Some of the districts drawn by the special master will still be used in the upcoming elections. It seems likely that voters will go to the polls under maps drawn in 2016 for Congressional districts. This week, the General Assembly introduced legislation (House Bill 90) to phase in over four years the class size reduction mandates for grades K-3, which were set to take effect July 1, 2018. The bill would also eliminate the current waitlist for NC Pre-K, and set aside a separate funding allotment for enhancement teachers. The bill passed the Senate on Friday and will likely gain full legislative approval early next week. For the 2018-2019 school year, the average class size for kindergarten through third grade would remain the same as the current school year. Class size averages must not exceed 20 students, and any individual classroom cannot exceed 23 students. Current funding for classroom teachers would not be reduced to pay for enhancement teachers. School districts would continue to receive full funding allocated in 2017-2018 to pay for classroom teachers. Under the legislation, school districts may continue to use classroom teacher funds to pay for enhancement teacher positions until July 1, 2021. After that date, once the enhancement teacher allotment is fully funded and the class size reduction fully implemented, school districts may not transfer funds from classroom teacher allotments to pay for enhancement teachers. However, funds allotted for enhancement teacher positions may be used by school districts to hire classroom teachers in grades K-12. House Bill 90 also includes additional provisions concerning the Atlantic Coast Pipeline mitigation fund that could potentially redirect mitigation funds to LEAs in counties through which the pipeline runs, as well as modifications to Personal Education Savings Accounts, and new changes to the Bipartisan State Board of Elections and Ethics Enforcement in response to a recent N.C. Supreme Court decision. This week, the Senate introduced and passed legislation to address the ongoing GenX issue. The bill, which is an amended version of House Bill 189 (Water Safety Act), directs the NC Department of Environmental Quality (DEQ) to review historical discharge permits, and coordinate with other state and federal agencies to share water quality information. The Senate bill also sets up a process for the North Carolina Policy Collaboratory at UNC-Chapel Hill to coordinate efforts using technology and instrumentation to measure discharge and emerging contaminants in the event the U.S. Environmental Protection Agency no longer provides free access to its analytical instrumentation and technology (often referred to as mass spectrometers). The bill authorizes the collaboratory to use $1 million in funds each year over the next two years for this purpose and appropriates $2.4 million in additional funds to DEQ to implement the bill. The Senate bill passed two Senate committees and the full chamber this week. H189 now goes back to the House where the two chambers will negotiate differences in the bill. The NCACC Board of Directors met in Raleigh on February 7th and approved legislative priorities for the short session. In addition to five goals established at last year’s goals conference, the board approved a directive for NCACC to focus on a capital-inclusive solution to the state’s K-3 class size mandate. PE-1: Seek legislation to establish a new state-county partnership to address statewide public school capital challenges--including but not limited to maintenance, renovation, construction and debt--through a dedicated, stable funding stream that is consistent from county to county and sufficient to meet the school facility needs of all 100 counties. PE-2: Seek legislation to repeal the statutory authority under N.C. Gen. Stat. 115C-431(c) that allows local school boards to file suit against a county board of commissioners over county appropriations for education. TF-1: Support efforts to preserve and expand the existing local revenue base of counties, and oppose efforts to divert fees or taxes currently allocated to the counties to the state. Oppose efforts to erode existing county revenue streams and authorize local option revenue sources already given to any other jurisdiction.